Woo Layout Injector is by far the most powerful plugin designed for Divi/Extra to give a huge amount of control over your WooCommerce site. It allows you to edit the layout and styling of the WooCommerce single product pages, the shop page, the product category pages, the cart page, the checkout page AND the my account pages. Some of these can be done either centrally or on a per product basis. 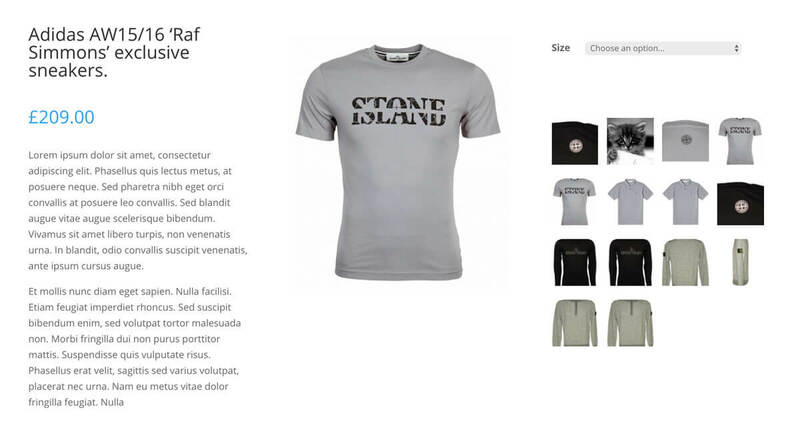 In literally minutes you can create both a shop layout and product page layout and assign them to your site. You can set the layouts centrally via the settings page meaning if you want to change your store at any time then you need only edit one layout. You can also override the layouts by product category or even on a per product basis making this plugin ideal for any type of store. If you want to really fine tune your experience you can tailor make your cart page, checkout page and my account pages. All using the Divi Builder! To really put the icing on the cake you have a beautiful header mini cart and a whole raft of custom made modules to allow you to design your pages as you see fit! Let’s say we have an archive page showing 9 items in 3 rows of 3 items. We first create a ‘loop item’ template in the Divi library (Divi Library > Add new > Layout (non global)). This will feature normally an image, title, price, read more button etc.. Once that is saved you can create the second layout which will be the archive. This may feature a nice header, the ‘loop archive’ module and then a footer or anything else to suit your design! Within the loop archive module you can select list or grid view. I find that list view works well especially when your ‘loop item’ layout has multiple columns of it’s own or a grid of products. For a Deeper Dive and full instructions on how to use this plugin once installed – have a look at this great article where you can download a full instructional PDF. 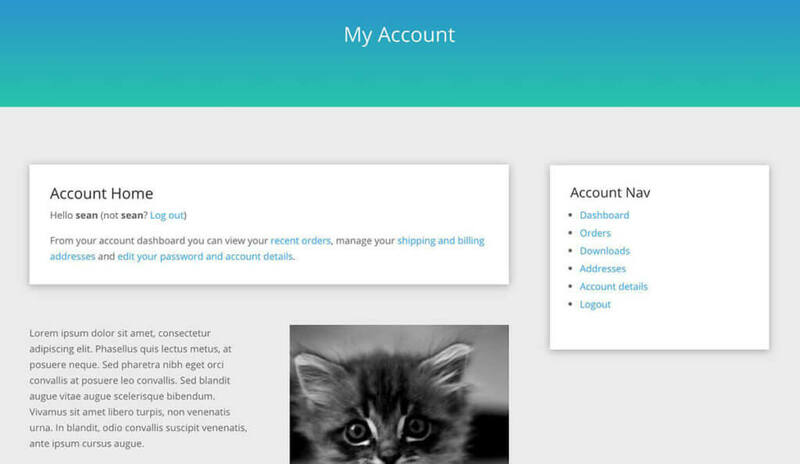 Account Page – the account page itself. Used as a container for all of the other accounts. Account Navigation – the list of links to the account sub pages. General – old and largely unused but it’s a collection of the modules joined together.. such as title, price, add to cart and description. Category Archive – Want to show a grid of categories to navigate around your site.. this does that! Every module have comprehensive control over styling such as padding, colours, alignment and specific settings for styling and module behaviour. For those times when you need more control each module has a unique CSS class and where possible we have included PHP actions/filters to enable you to ‘hook in’ and do your own thing. Coming very soon (mid 2018) will be a gallery of layouts created using Woo Injector. This plugin was released and flourished from mid 2016. It was, and still is, revolutionary in the features and functionality on offer with new updates coming all the time. Keep an eye on the changelog on this page or within the plugin itself for more exciting additions to the plugin. The new layout library will be a site showing a number of product page and product archive layouts created using Woo Layout Injector with the option to download the JSON files for use on your own store. Watch this space! This video is an hour long but it shows me setting up and explaining how the plugin works and how to integrate it into your site in a clear way. (was made for 4.0, we are now a few months down the line and some of the screens may have changed). This plugin is designed to work with the vast majority of third party WooCommerce extensions. On occasion, third party plugins which also modify the product page may not be 100% compatible. Don’t worry though! Simply put in a support request with the vendor or Elegant Marketplace and we shall build in compatibility as soon as we are able. I will buy to try use modules of this plugin without use layout settings of it. I want to use layout settings of another plugin but i need to use modules of layout injector. So if i would be fail to use both of them, can i use layout injector on my next project? I will buy license for one site and if i fail, i will delete on my first project then planning to use on next project. Is it possible? 1. Opening support case is impossible since recently “The product does not match the …”. Regardless if the license or purchase key are provided. 2. Outdated templates were reported but the reply is simply “I don’t think it should cause any issues”. Resume … at first this plugin was awesome, then it became buggy, now it’s at the verge of getting useless. Very disappointing! They do require a detailed explanation of what the issues are and can login to your site to see if there are any conflicts with your server, site or other plugins. could it be that by removing the Woocommerce category product base by inserting a full stop it breaks and give a no result? I checked the box for “Admin test mode,” which says “Using admin test mode the layout will only be applied for admin users. 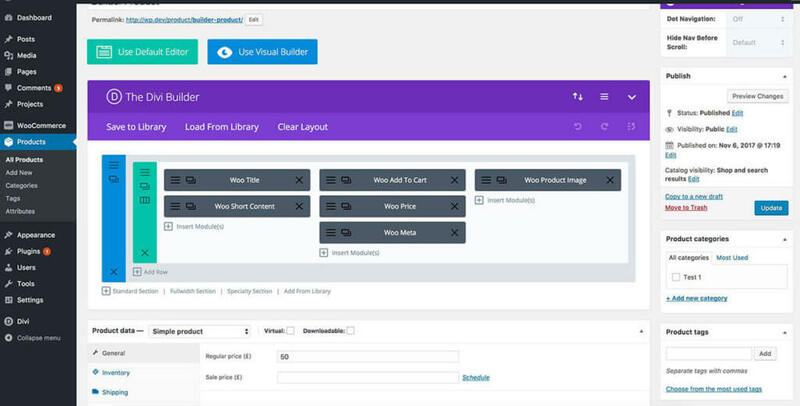 Non-admin users will see the default product page layouts.” and I’ve been creating layouts on a production site, not realizing that the new layout was being displayed on the live site. “Admin Test Mode” does not work on the Cart. Tortoise IT is “aware of this issue and actively working to get it fixed as soon as possible” as of ten days ago. Sean, there’s a weird bug in 4.7 that makes all first product images (i.e. the featured image) to show incorrectly, smaller and distorted, both on the Woo Product Image module while still on the page and during zoom/lightbox. Apparently it it just affects the feature image, and images for variations keeps showing correctly and with the proper size/zoom. Reverting to 4.6 fixed the problem, or rather, it avoids it from happening. Wish I could update it, but, for the time being I guess i’m forced to stay on 4.6, and to recommend everybody to do the same. Does this actually work with Homepage, Blog Homepage, Single Posts? As I want to customise the Header area on my site, like I can using https://elegantmarketplace.com/downloads/divi-layout-injector/ but this plugin doesn’t seem to work with WooCommerce, so do I need this plugin as well ? Question: I don’t see ‘Stock notice’ in the list of options to place. Is this avaliable? Essential for my store, taht’s why I ask. Hey Andrew, is there a way to display two products per row on mobile in the loop archive? I can do this easily enough with the standard Woo shop page, but I can’t seem to figure it out using the loop… Thanks for any advice. Will the plugin be updated? the same happened to me, and updating the template file for “cart-empty.php” in my divi child theme solved the issue. (i.e. : copying the file from woocommerce template files into my theme includes folder). Compare the “@version” on both files and you’ll probably notice your theme has an older version. “This third party module is not fully compatible with the latest version of the Divi Builder. You can still edit the module, but a preview will not be rendered in the builder. You can contact the developer of the module to encourage them to update it. Click here for more info.” The plugin doesn’t seem to be working at all, what can I do? That is a message relating to the Visual BUiulder. It is completely compatible with the Divi Builder back end. 99% of all divi third-party plugins do not work in the Visual Builder. This is because the Visual Builder is built on reactjs and we are encouraging all developers to make all their plugins and modules VB ready. When will the design gallery created with Woo Injector be available? Does anyone know how to answer my question? 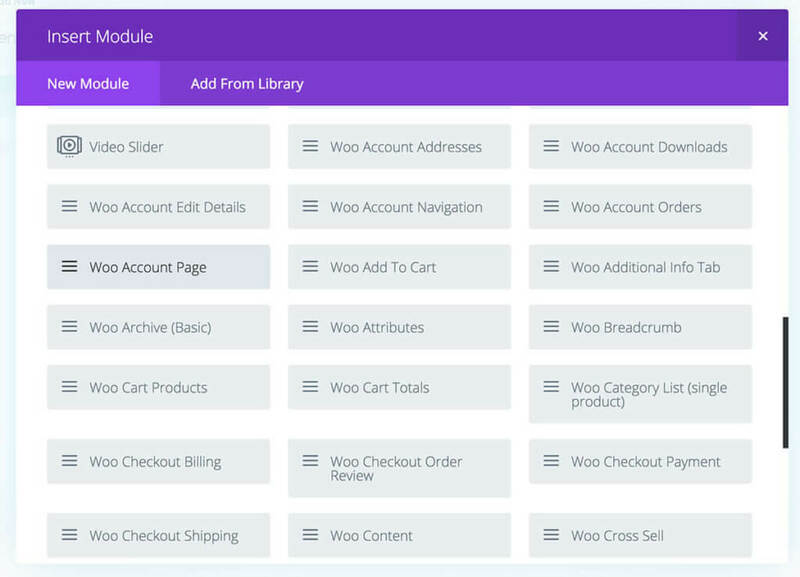 The Woo Related module doesn’t allow to click through the product either on the image product or ‘select options’ button. When the mouse hovers over, it selects it but clicking does not do anything. I was just thinking we need a layout injector for Woocommerce reviews that will allow us to put the reviews on any page we want in a slider format, list format, or even a masonry format. sb_et_woo_li_shop_cat_title_module::$advanced_options is deprecated. Use sb_et_woo_li_shop_cat_title_module::$advanced_fields instead. sb_et_woo_li_shop_cat_title_module::$custom_css_options is deprecated. Use sb_et_woo_li_shop_cat_title_module::$custom_css_fields instead. sb_et_woo_li_related_module::$custom_css_options is deprecated. Use sb_et_woo_li_related_module::$custom_css_fields instead. sb_et_woo_li_upsell_module::$advanced_options is deprecated. Use sb_et_woo_li_upsell_module::$advanced_fields instead. sb_et_woo_li_upsell_module::$custom_css_options is deprecated. Use sb_et_woo_li_upsell_module::$custom_css_fields instead. We think that these may be linked to a problem in which pages load incompletely – possibly cache misses, possibly something else. It might be an idea to start a support ticket – access can be given via the product page. How to use wish list in this plugin? I have bought 5 licenses package. But some days ago I received an email that you suspended my yearly fee, why? We changed our pay pal account and this was an unfortunate side effect. When it comes ot renew you will receive an email and you can choose to renew or not. Its totally up to you. Hi! Does this plugin allow you to enlarge the thumbnails on the WooCommerce shopping cart page? This is a pre-sale question. (This looks like a fabulous plugin, by the way.) 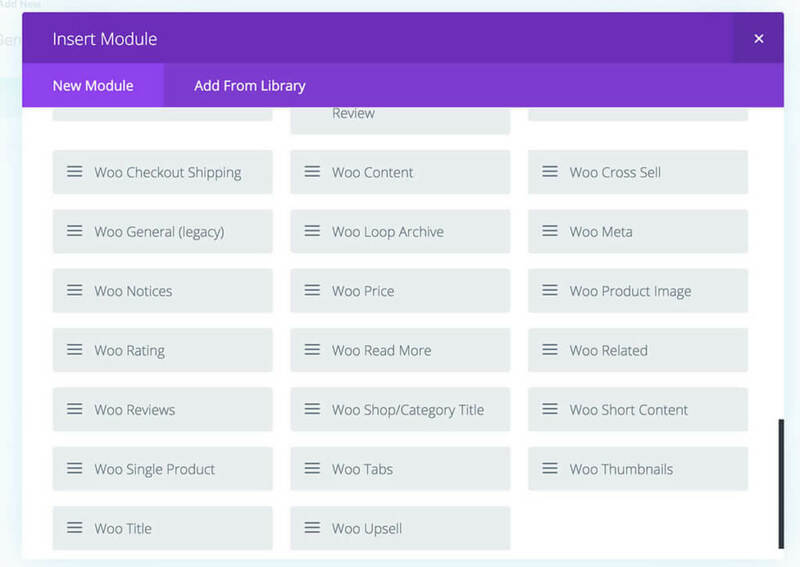 I’m using a Woocommerce plugin WooCommerce Bookings. Is there a way to get Woo Injector to work with the calendar / date picker elements in the booking plugin? Is there somebody to answer to this problem ? 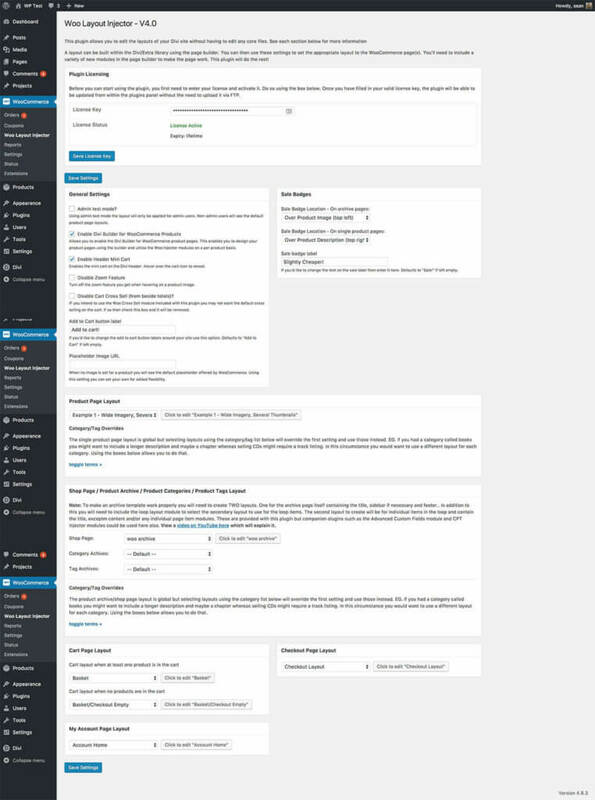 I try to modify the Cart page with the Woo layout Injector. Everything works fine and when I press the Update Cart button a popup overlay appears with the message: Cart Updated. But when the popup is closed the Cart page remains blank and I need to refresh it manually to see the content of the page. Can you help please? I just found out that Woo Layout Injector isn’t compatible with WPML. Who knows of a solution or a tempory workaround? In my future online store I use a lot of plugins that affect product page by adding additional data. So my question is, will the additional data be correctly displayed in modified layout, done by your product. Fantastic product. Cannot recommend it enough. Sean knows what he’s doing and is very responsive as well. I’d suggest the option to include the Title of the Woo Attribute module even in bullet list mode as well as separator mode. I got this up and running quite quickly and replaced a different product layout builder. Everything worked great and is much easier to use. The only missing piece I still need is a way to display product Tags independantly. Tags are included with Meta, but that displays SKU, Categories, and Tags as a truncated list. I don’t want to display SKU because only the variation SKUs matter. The Layout Injector has a module to display Categories rather nicely. It would be great to have a similar module for Tags, or perhaps a configurable Meta module with display options for each element. Support is provided free of charge for 6 months from the date of purchase and does not include amendments around third party plugin conflicts. Each license version is subject to these terms. Single use – 1 instance on 1 site, 5 site license – 5 instances on 5 sites. Unlimited use license – unlimited instances on an annual basis. Unlimited site license with unlimited lifetime updates for the life of the product. Each license automatically renews at the end of the year unless cancelled with the exception of Unlimited License with unlimited lifetime updates. The renewal price is set at 50% of the original. To cancel your subscription, simply login to your PayPal account and under subscription look for The EMP Group and cancel the package.